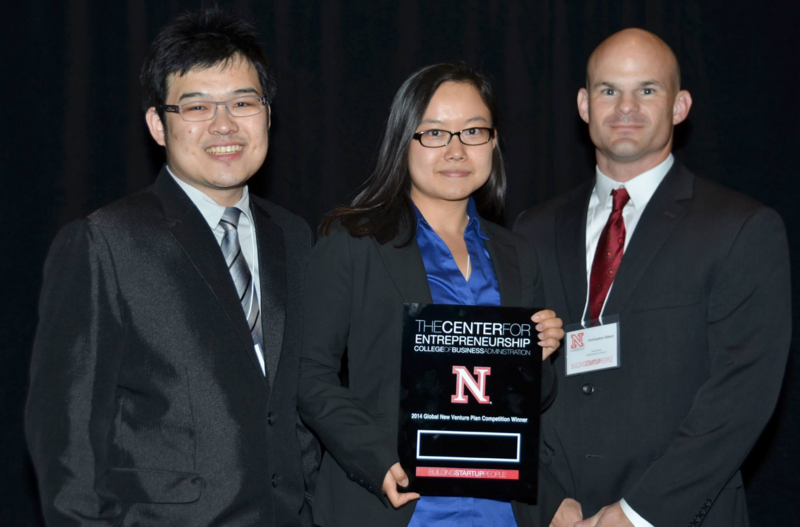 Two MSTC student-led teams placed in the recent 2014 UNL Global New Venture Competition. The business plan competition, hosted on March 20th by the University of Nebraska-Lincoln, was open to college students from around the world. Rainseed, led by current MSTC students Jim Nelson, Mike Peterson, and John Willick, won first place, earning them $7,000 and a spot to compete in the 2014 University of Texas Global Venture Labs Investment Competition. GreenWest, which includes MSTC students Eileen Cao, Ben Lee, and Chris Gilbert, placed third, claiming a $1,500 prize. Two MSTC teams represented McCombs in the 2013 Global Venture Labs Investment Competition last May. One team was first runner-up among the 40 teams competing from around the world, and the other MSTC team won the Wells Fargo Clean Energy Award of $20,000. 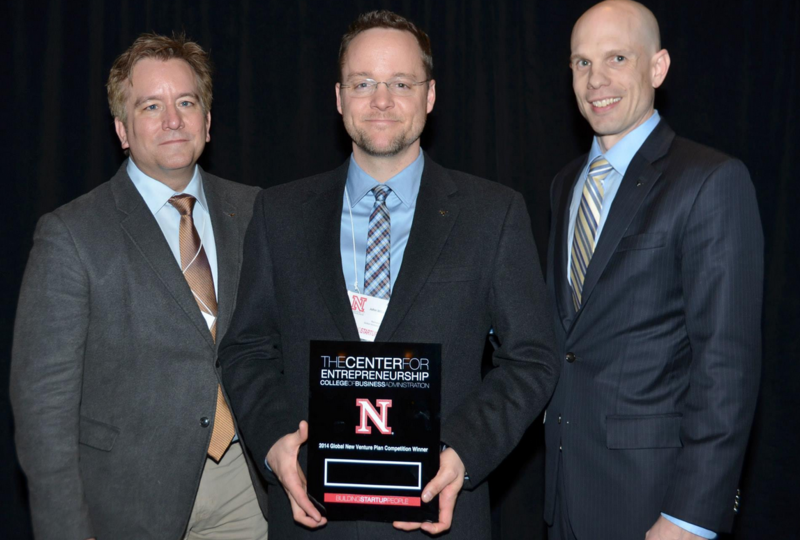 Congratulations to both of the MSTC teams represented at the 2014 UNL Global New Venture Competition, and good luck to Rainseed in the 2014 Venture Labs Investment Competition! First place team, Rainseed, featuring MSTC students Jim Nelson, Mike Peterson, and John Willick. 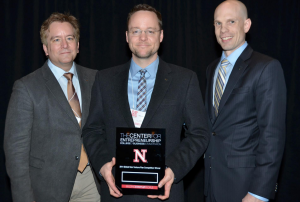 Photo courtesy of the UNL College of Business Facebook page. Third place team, GreenWest, featuring MSTC students Ben Lee, Eileen Cao, and Chris Gilbert. Photo courtesy of the UNL College of Business Facebook page. All of the teams celebrate a successful competition. 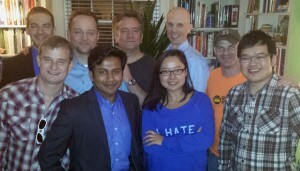 Photo courtesy of Chris Gilbert.